A new Texas law will soon take effect that big industries say is needed to cut red tape. In this case, the red tape involves the environment and how long it takes to get a permit to pollute. Texas isn’t alone in looking for ways to make things easier for industry. And not everyone thinks that’s a good idea. One spring morning in downtown Houston, the state of Texas was holding a public hearing. A waste disposal company was asking for a state permit so the company could expand its landfill in northwest Houston. People who live nearby had concerns. Connie Westfall is an attorney hired by some of the residents. She tells us later she’s handled a lot of these cases, sometimes representing worried citizens, but other times working for the companies applying for a pollution permit. “Where you run into problems is where the applicant treats the public as an irritant and just a speed bump on the way on getting their permit,” Westfall said. The state agency that issues pollution permits is the Texas Commission on Environmental Quality (TCEQ). It’s supposed to look out for the public. But Westfall says the TCEQ isn’t always helpful. “The TCEQ refused to meet with us, and they only met with us when we had a local legislator intervene,” Westfall said. The TCEQ denies it ever refused to meet with Westfall and the residents. But that kind of back-and-forth is just a taste of how contentious things can get when citizens want to be heard. Earlier this year in Austin, there was another so-called “contested-case hearings” as at the heart of a heated debate. The Texas Legislature was considering Senate Bill 709. The bill was opposed by a rancher named Byron Friedrich from Caldwell County. He testified that the bill would make it harder for citizens like him to get a public hearing to challenge industrial operations. “What we found is really the TCEQ and their permitting process is strictly aimed at permitting to the industry … It takes no account of what the people living near (a site) want,” Friedrich told the Senate Committee on Natural Resources and Economic Development. But the bill had the support of Texas industrial companies. A lawyer for the Texas Association of Manufacturers, Christina Wisdom, was questioned by Senator Judith Zaffirini, a Democrat, about the industry’s contention that getting a permit in Texas takes too much time. Wisdom said that by comparison in Louisiana, it can take less than a year to get a pollution permit. Senator Craig Estes, a Republican, suggested a company looking to locate a new plant would pick Louisiana. “Well then, that’s an easy decision then isn’t it,” asked Estes. A few weeks after the hearing, the legislature passed the bill industry wanted. It places new restrictions on who can protest a permit and what they must do to prove their case. The new law takes effect September 1st. What might happen thereafter? We looked for answers in another state that like Texas has seen a surge in industrial development: Ohio. “We’re working every day to make Ohio a business friendly state once again,” says Lt. Gov. Mary Taylor in a Welcome to Ohio video. Four years ago Ohio launched an initiative to create what it called “a more jobs-friendly regulatory climate.” And when it came to the surging oil and gas industry, efforts were made by the Ohio Environmental Protection Agency to approve state pollution permits quickly and without public hearings. Teresa Mills in Columbus, Ohio has been an environmental activist there for 30 years. Has the initiative mean fewer public hearings? “Oh, absolutely, there used to be more public hearings. It would just take a couple people just calling and asking questions and the agency would automatically set up a public hearing,” Mills told News 88.7. Mills says citizens now have fewer chances to act as a check on both industry and on state regulators. “Industry and agencies tend to consider citizens as a nuisance,” said Mills. Back in Texas, the new state law to limit pollution permit hearings has caught the attention of the Federal EPA. It’s concerned the state law runs afoul of federal law which says the public has a right to be heard in such cases. Officials at the TCEQ say they don’t see a conflict. 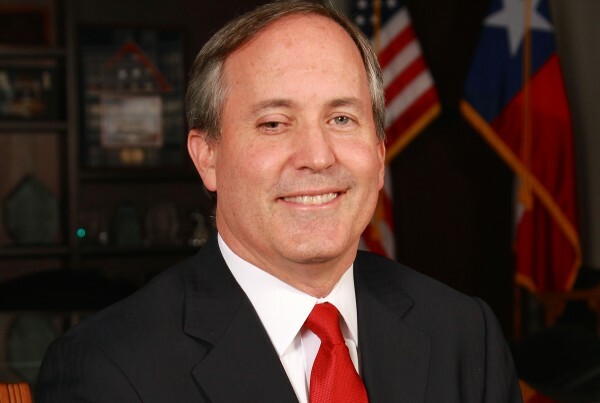 Did Texas Attorney General Ken Paxton Commit Fraud?